If your fertility supplements are strong enough to heal, they’re strong enough to harm. And many of us on this awesome trail of baby making have learned, that more, isn’t always better. When our choices–be they related to fertility supplements, fertility treatments, choice of practitioners, or anything else in our lives—are guided by the fragile, fix-me-quick-and-please-don’t-make-me- think voices within us, our bodies rebel and scream for mommy until they’re heard. I originally wrote this blog several years ago, but after hearing more and more similar stories I thought it would be a good idea to revisit this post. Tracy, a Fertile Heart mom who was journeying to conceive her second child– after an aha moment during one of our Fertility Support Teleconferences–asked for a private check-in session. Initially, Tracy wanted to do some additional work on some of the emotional roadblocks that became apparent with her latest revelations. But, the sessions usually unfold in their own way and it turned out that we spent much of the call addressing unexpectedly wacky hormones. “In March, blood work revealed that my FSH was 21. I was advised by my fertility specialist that I would need to act fast in order to conceive a second child as menopause was imminent. This specialist felt that our best chance of conceiving would be to try fertility drug-assisted IUI for 6 months. “If we weren’t pregnant after six months we should consider using a donor egg or adopt. At that time I thought that I had two choices: follow the advice of the fertility specialist, or seek the advice of a Naturopath. I felt that a Naturopath would be a kinder and gentler way to approach my issue, so I decided to make an appointment. There is a wonderful P.S. 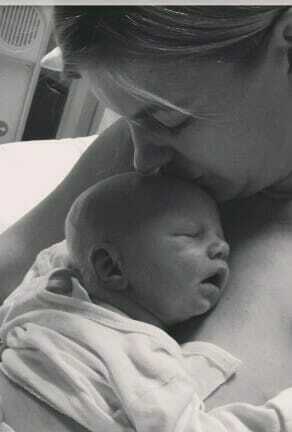 to this story: Tracy gave birth to a little boy, conceived the old-fashioned way. And she shared that story here. But why the wacky hormones? I asked T. to tell me what exactly did the naturopath’s remedies contained. She didn’t know but when we checked one of the products called “Hormone Combinations,” it read: FSH, Testosterone, and a whole slew of other hormones. 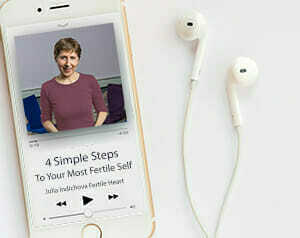 I suppose the lesson from all this is as always: no matter how highly esteemed or how useful the said fertility expert is reputed to be, you might want to know exactly what he/she is prescribing and why. Not because you don’t trust them, but because they are human beings and like all of us humanoids they’re not omniscient. Which is why I will also pay close attention to what my Holy Human Loaf- my ultimate fertility authority has to say about the prescribed remedies. I want to be able to distinguish between possible sings of detox with a new fertility supplement regimen and side effects that are causing wacky-hormone-response. Thank you, T. for asking me to share your story and inspiring this post and a special thank you for the beautiful continuations of this story Tracy shared with all of us ! Have any of you had similar experiences we could all learn from? I went back to her and raised a storm asking her why in the world was I prescribed a sleep medicine when I had no issues with sleep and what the hell this had to do with fertility in the first place and how badly it affected me. I said I want to return the other meds too. She agreed.I lost my $300 initial consultation fee. But had I not worked with OVUM tools, I would have never made it a point to question these so called “healers and authorities” for my own benefit, i wanted to be part of the process of this healing. This concept itself doesn’t sync with many, but working with fertileheart tools, this became part and parcel of my life. I can relate to butterflyfaith’s comments about being hyper-aware of one’s body and noticing every little twinge, change, etc. and evaluating them as positive or negative. For me this leads to anxiety, loss of sleep and an inability to be fully present in the life I am leading today. I’ve been seeing a great acupuncturist since April who I very much trust. She has taken a conservative approach with me and has said we might want to consider Chinese herbs but given my regular, albeit shorter cycles, with abundant fertile mucus and monthly ovulation she doesn’t want to rock the boat. I vacillate between wanting to mix in Chinese herbs, Ayurvedic herbs and more traditional herbs such as Vitex and red clover, but I’m so fearful of messing up my cycle and losing another month that I’ve stayed away from all of it for over a year. I just take a prenatal, fish oil, CoQ10, Vit D, Digestive Enzyme and a daily probiotic. I’ve tried two months of “vaginal Steam” after my period and castor oil packs. I’ve tried float therapy, cranial sacral massage, Reiki, etc. and yet I still haven’t fulfilled my wish. I know this post is about herbal supplements, but for me it illuminates the over-arching question of when have you tried it all and just need to “be”? I’m scared to just let go of monitoring my body, taking supplements, going for alternative modalities and just do my body truth and imageries each day, journal and live for the moment. At a workshop I attended last year the speaker talked about how “someday” is not a word — we only have today — why is it so difficult to live for today? I love this post Julia! The ‘aid’ of supplements has been such a turbulent and finally, exhilarating experience for me, thanks to your encouragement to try to understand what message my body is relaying to me and become my own authority. I came to your workshop after a 4 month run of Chinese herbs which I had added to my existing plan of supplements/hormones with the permission of my doctor. I felt confident that the herbs were causing my normal cycle to become wild, and, at the same time, they were improving other symptoms. I showed up to your workshop desperate and lost, feeling time slipping between my fingers and having no reliable guide to help me make my way forward. Am I actually making things worse? Are these herbs helping me more than harming me or the other way around? How could I know? What if I am wrong? I was almost paralyzed. I came home from the workshop with the idea that if I don’t know what is in there and can’t articulate how it is helping me, I shouldn’t be on it. So with a good dose of fear about making the wrong decision, I quit the herbs. My cycle continued to be abnormal. So I decided to examine the other supplements my doctor had me on and what they were doing for me. I tried to articulate what my health problem was to me in non-medical terms so I could attempt to evaluate how my supplements/hormones were supporting me. After three miscarriages, I had been diagnosed with digestive issues, adrenal fatigue, thyroid problems and low amounts of testosterone and estrogen. I determined that the core problem was digestion. If I cannot process fats, carbohydrates and proteins properly, all of my body functions will be negatively affected. With some work, it became obvious to me, that a part of me would not accept (digest) these losses, which included the loss of my sense of self and the fear of losing my husband. I needed to start ‘digesting’. Thankfully, I had already started to do this with my imagery and body truth exercises. I decided that my digestive supplements were a good aid. And I decided to experiment by going off the hormones. I wanted to see if the work I was doing would get me there. While my doctor didn’t agree with my decision, I worked with her to do this. And I was still terrified of making the wrong decision, of causing myself and our dream harm. This time I knew where the terror was coming from and I could see my reaction as evidence of me leaning way too hard on my doctor and her prescriptions to fix me. It actually took only a few months to balance and I’m happy to report that normal range thyroid and hormone levels. I officially no longer need prescriptive support for these functions! I am still amazed as I write this. It’s been a long journey. And powerful, as I learn to translate my body’s language and respond with loving and responsible care. I now view supplements as just that, there to support me as I learn to bridge the gap, not as responsible for fixing a problem. That is my job. Thanks to you Julia and all of you brave and tenacious women, I’m learning how to do what it takes to take care of me like no one else can. I do not have anything more to share about practitioners advising me in an unusual way. What I’m working with now is a job coach (free though a reputable job help service). This person has lots of good ideas – they take lots of time. I’m supposed to apply for a certain number of jobs a week. Last week I was handed some jobs -some of which I don’t even qualify for . I’m trying to find work with regular hours and a reasonable salary. Right now I’m debating about receiving some training that would be free and would lead down a path I could possibly like, but make it less likely I would go down a path I might like more but would take longer to train for. I’m working with a job coach because there is a possible scholarship available for training. The free training in addition to job coaching requirements would take up many many hours. Parts of learning new skills are exciting – sometimes its just a lot of time involvement. I have been working with Child’s Play Fertile Heart Body Truth and the garden imagery from the phone circle with children playing. I’ve been trying to observe more children lately and that feels good. I’ve been looking for volunteer positions as well as paid positions. One volunteer position was playing piano in a senior care facility where I go a lot to pick up a friend in our religious group. I don’t think I’ll actually volunteer there but I had fun one afternoon looking up sheet music I thought they might like (from the 40s and 50s) and playing the piano (rusty) and singing. What fun! I have a practice question (hope it’s OK to look for some direction here): What are some great imagery and/or Body Truth exercises to help with severe anxiety? I’ve been working with White Flower and It’s All Good, but they just don’t seem to hit the spot. I could go back to my tried-and-true Field of Creation, but I’m wondering if there’s something else I could try. Right now, I am only taking my food-based vitamins, a food-based iron supplement to deal with my borderline anemia, zinc, CoQ10, probiotics and fish oil. I am going to also add on a digestive enzyme. I am on a tea twice a day made by my acupuncturist. I can’t remember what’s in it (she showed me before, but I didn’t write it down) and I continue to take it because I see how my cycles are improved and regular while on it. Plus it tastes good and I actually enjoy it. This past week was rough, with me getting full-on assaulted by my orphans. I just let it happen and did nothing to stop it. I just rolled over and let them beat me up, then kick me into the orphanage and lock the door. I have very powerful fear and panic orphans, as well as a pretty sizable defeatist one. I am slowly climbing out of the hole now, and committing to what I promised the last call. I have been writing, but not at any set time. But now I have committed to showing up at the page Monday, Tuesday, Thursday at least at 11:45 for half an hour. I aim for more, but this baby step gets me to open up that orphanage door and walk out. WHY is it so hard to just commit? Not to say I’ll do something, but WHEN I’ll do it. Interesting. What I would love to do is nail out some time every morning before even getting out of the house. But something stops me. Could it be the fact I stay up until 1 a.m. binge watching Netflix and then have to drag my exhausted self out of bed with barely enough time to get everyone out of the house on time? ha ha. I am seeing that sometimes, the easiest “fix” is the hardest. How difficult is it to just go to bed at 10 p.m. and wake up at 6 a.m.? Yet I seem to believe more in a random fertility supplement touted on some website than I do in my own ability to just sleep. Again, in honoring my commitment, I will post some of my writings here, if wanted. I have actually not done so recently because they have been very orphan fueled. I’m not sure it would benefit anyone to give so much attention to a tantruming orphan. Although I’m sooooo good at that. Thank you for addressing the supplements information on this week’s call. And as always the sentence completion exercises may seem simple to an outsider but they can reveal so much if one is able to drop in the heart and muster the courage to be in the truth even for a moment. Even though I did not hop on the bench I received a lot from the class. I want to post a comment not only as part of my member commitment but also because I felt compelled to share just a couple of things. I have known about my border-line lactose intolerance for some time but I was not born that way. However when I visited my family last year I did not realize my stomach ache was due to drinking milk at a friend’s place. Then I observed this every alternate day after I returned to my home in the U.S. The reason i was taking milk again was because I met a naturopath. I have found his medicines to be beneficial for my overall health over the last 9 months or so. This time he changed the protocol to make it easier for me but most of the medicines now need to be taken with milk. He had told me that there’s a trick to help your body digest milk but it is very time consuming. I am not inclined to share it openly. If someone specifically wants to know please reach out for the info through Julia. Since I have read enough about harm caused from dairy I would rather not have anyone experiment with it. Also having been diagnosed with endometriosis/mild adenomyosis who knows whether dairy consumption over years was behind it. I have a sweet tooth and majority of sweets in my culture are made from butter derived from cow’s milk. I have not had a stomach upset from dairy products but again – that’s a strong reaction. What if there’s a reaction that I don’t notice. Another thing that happened this month was my experience with a clinic where we started a new cycle (ART). The doctor canceled my cycle because i produced only one follicle after heavy stimulation – this was my first conventional IVF experience. She said my estrogen was high in the beginning of the cycle. Their cutoff is 75 and my levels were 77 on day 2 and 75 on day3. So they decided to take me on in that cycle. Interesting fact – my estrogen level last cycle day 2 was 57. In between these two cycles I have been consuming about one glass of milk per day everyday because i had to take this herbal medicine. My husband googled this and says cow’s milk causes higher levels of estrogen. So for now I have stopped milk consumption for a few days. I don’t see a big difference overall but it is also a bit of a relief to not have to take this medicine for now. It is tedious but i understand its medicinal power so I am a bit torn there. Enough about clinics and medical history. Coming back to my imagery practice. I started with Meeting your child halfway imagery since Sunday. Before I did my night time imagery I had begun with this orphan rooted feeling. What if my longing isn’t enough? What if i really don’t have a longing but I only want to keep busy trying? This last question is almost exact same question my husband has asked of me more than once sadly. Now I know it’s an orphan rooted feeling. But after doing the imagery I saw a small shift in my perception. Well we collect every tiny snowflake on the way and we know one day the branch will break. I need to go back and read Fertile Female. I haven’t read it in a very long time. Tracy’s story gives me hope. I often think about the time I have spent at the two workshops and also think of why I am not yet pregnant (of course i do recognize that as an orphan). The healing continues. When I hear myself sharing with a friend of mine on the phone yesterday – “Exactly. This practice is not just about becoming more fertile physically but at all levels. It is about becoming more creative”. I know I am a different person today than I was before I went for my first workshop a year and 2 months back. Thank you Julia. I wouldn’t know where I would be without you but I know it wouldn’t be where I ever want to be in my life. I love this FH success story! I know even as a medical person I still wanted someone else fix me. I have found shifting even recently not just what I put into my body but what I use for skin care and household products. I have chosen very different laundry detergant, what I use to clean dishes as well as skin care and makeup. I recently found for laundry: Molly’s Suds. which I LOVE. It feels good doing things that will make me and my husband feel better. If you get a chance to look at that laundry I loved it bc of the story too. It sprung from a nurse who was pregnant with her 3rd child – she very sadly lost this child in stillbirth and her name was Molly. From that she sprung into looking at what causes birth problems and her digging found chemicals that could be harmful. Her resolution was to produce and laundry product that was safe not just for pregnant women but for all families. It almost reminded me of when we ask “what did this life come to show me?” and this was her answer. I don’t really have a true story about hormones being wacky form herbs, but I have an incident where my husband and I started seeing someone on the advice of a friend. This person was kind of a combined medical doctor and an herbalist or something and I thought that combination was a wonderful idea. We were seeing her for fertility issues. One of the first things she said was that she believed fertility difficulties were God’s way of controlling the size of the population. But even after that statement we continued to see her for way too long. She was very interested in monitoring our thyroid levels based on temperature. I never felt very comfortable around this person, but as I often did, I was looking for a savior. Bel, very powerful to just do what feels right and heather1975teaching, thank you so much for sharing your experiences. Noddfa, that is very powerful listening to your inner voice and MiraculousLife, how powerful is that to question what you were taking and check with your body. I have been doing Child’s play Fertile Heart body truth and Mirror of Truth Fertile Heart imagery (Imagery II). I have someone working with me on job searching who is insisting I spend lots and lots of time on it, so I’m trying to figure that all out – sometimes panicking about how to complete all the tasks. I’m doing my best and my husband has been pretty good about being a sounding board about it. I feel very uncomfortable not being able to plan anything because I never know what the week will bring. Hopefully something will work out soon, or I might be doing some schooling to get retrained. My whole journey this far has been about learning to trust my inner voice, and the part of me that knows what the best next step is for me. Since discovering Fertile Heart that voice has been getting stronger. Here are a few examples of me listening to that inner voice in the last two weeks (I meant to post this earlier but I got a sickness bug at the end of last week). I went to a cafe one day last week, and typed (because I can type as quickly as I think) the story of my marriage break up, and when I was finished I pressed delete on the folder … because I wanted to let the story and my telling and re-telling of it to myself go! That action has helped me so much. If I hadn’t listened to my inner guidance I’m sure I wouldn’t have given myself that time, doing other “more important” things; but this was so important and it has helped so much. I took time to finish my 2017 vision board (images of the things that are special to me this year) … looking at it everyday gives me such pleasure. I paid attention to a dream I had about someone who is important to me … this helped me let go of second guessing the situation and has helped me to focus on what I can do to move forward, and feel hopeful. I’m awaiting the results of my most recent FSH test results. Whatever the results, they will not be everything to me. Just another piece of the puzzle. And if they are upsetting I will cry the tears I need to cry, I won’t run from that, but they won’t change the fact that having a family is still one of the most important things in the world to me, and that I have every right to stay on this path. Oh my gosh does this hit home! Before I got into my practice at FH, I relied on Google… huge mistake. I dabbled with DHEA, random Chinese and western herbs, vitex, teas, tinctures etc. All assuming the next one would ” fix ” me. When I took DHEA and Vitex especially I had terrible side effects but I kept thinking the pros outweighed the cons… now I stick to my FH/ USANA recommended supplements and only take whole food/ plant based supplements like wheatgrass/spirulina. I try to use food as medicine, eating lots of organic foods, soy -free, gluten-free, dairy-free and sugar-free ( other than low sugar fruits. I still fall into patterns of ” ohhh…that product worked for so and so…maybe…” but then I take a step back and think first. It’s hard. Oh, this rings so true for me! We only started to try to conceive when I was 42 going on 43. I assumed it was going to be hard, because of my age. So before we’d even really started trying I booked myself in with a well-known Chinese Dr, who specialised in fertility using acupuncture and herbs. I had read amazing things about her, especially with regards to older women. I assumed this would be the best possible path for me. I had yet to discover Julia and her world of Os and Vs. So it would have never crossed my mind that the part of me immediately assuming there was going to be a problem, and the part of me that rushed straight to the ‘best’ person were anything other than Vs. There were certainly positives to the Chinese Dr’s clinic. It was clean, well-organised, and everyone there was friendly and polite. And she clearly did have a lot of experience. I also saw my monthly temperature charts improve hugely once I’d been taking the herbs for a few months. But…: aside from the fact I wasn’t getting pregnant (this didn’t bother me too much, initially at least, as I accepted that it might take time, even with the herbs), if I am really honest with myself I never felt totally comfortable going there. While the Dr was pleasant enough, each month I went in and said I wasn’t pregnant, I would feel like I’d disappointed her (this was, I’m sure, partly an O in me, but also, I feel, something in her manner/her expectations). And during the consultations, sometimes she seemed distracted, looking at her computer screen, and leaving her assistant to lead the consultation. Initially, I though maybe she was going through my notes, but one day she turned the screen towards me, showed me a picture of a sports bra, and said ‘Do you like this?’. Unbelievable!! I should have stopped going then and there, but I told myself she is supposed to be the best, you need her to help you. Additionally, I didn’t really like the acupuncture there, as they used electric currents with the needles to supposedly make it more effective, but energetically it just didn’t feel right to me. Yet I still kept going back. And, despite all the herbs, my FSH levels were all over the shop, jumping up and down (as high as almost 30 one month). It took me 2 years of taking the herbs before I finally could let go of seeing her. And even when I did – this was having found and road-tested a different and wonderful acupuncturist, with whom I felt completely at ease with and not judged by, and whose acupuncture really did make an energetic difference to me – I was scared that I was making a mistake. But it also coincided with a decision that I was going to stop doing anything on my fertility journey that didn’t feel right, and wasn’t also supporting the rest of my life. And I have really stuck with that since. I am not yet pregnant, but during the last year or so, since I made that change of mindset, I have definitely slowly but surely come to feel in a better place.